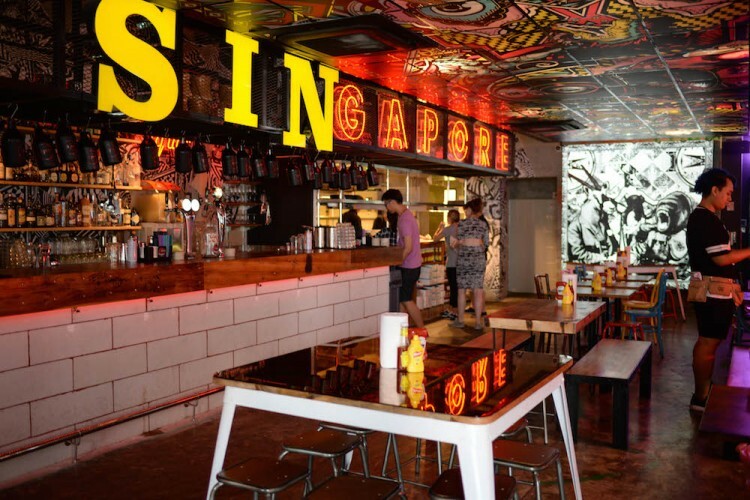 Popular burger joint in London has arrived on the shores of sunny Singapore. 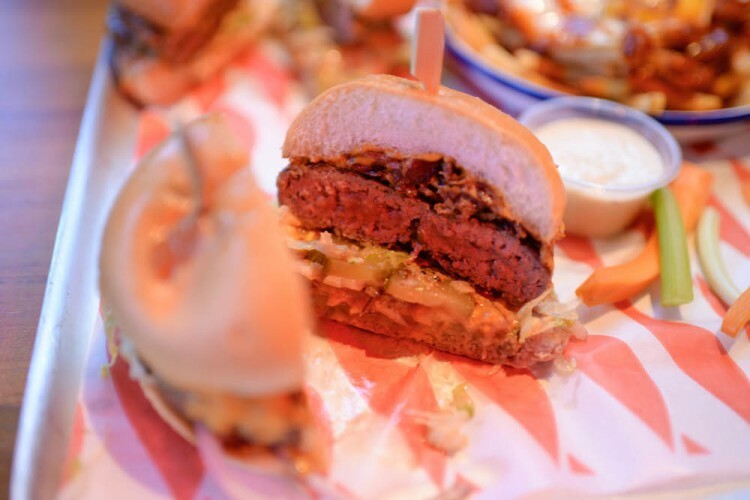 Forget McDonald’s, get your burger fix here at MEATliquour. The joint is known for it snaking queues back in the UK. A good burger can do wonders, so it is no mystery why they bother queuing up in the cold just for this. 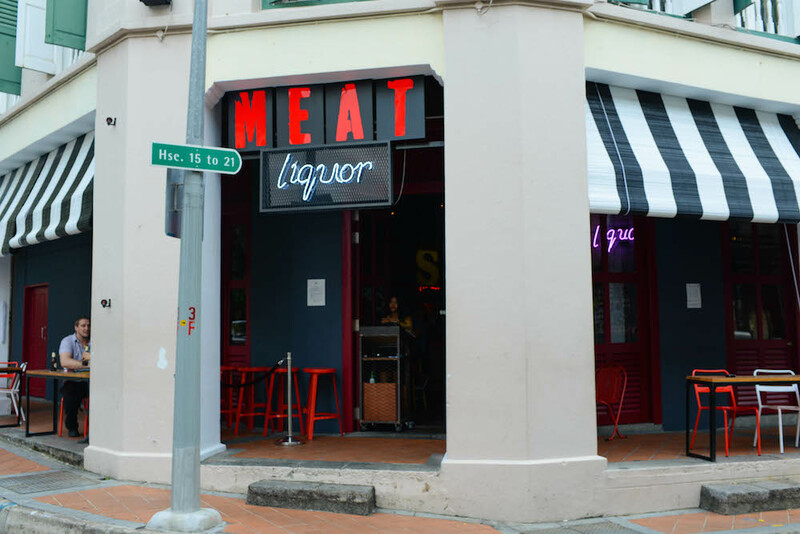 Now that it is in Singapore, you have no reason not to get a taste of it. Head down to the place before it gets even more crowded. 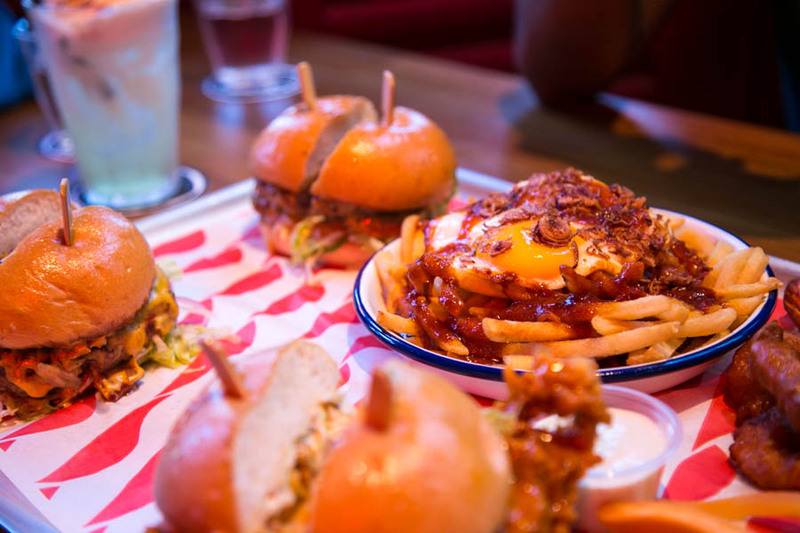 Great drinks, fantastic bites and burgers are a winning combination for anyone’s Friday night out. 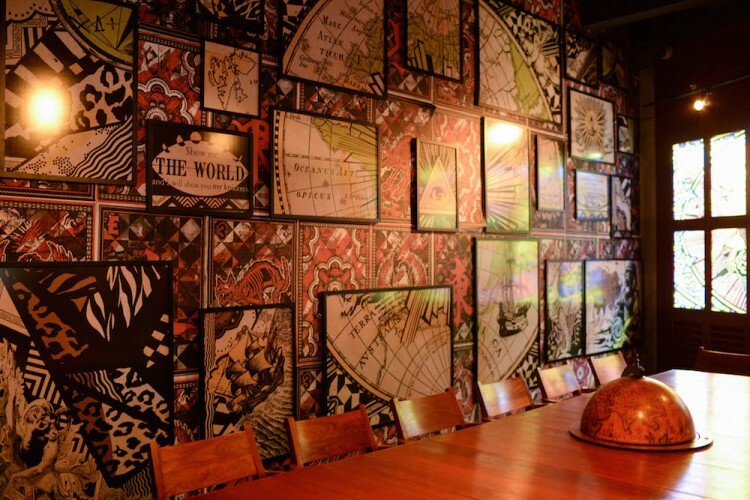 The decor is a feast for the eyes. While it looked deceptively simple on the outside, the inside is a whole other story. 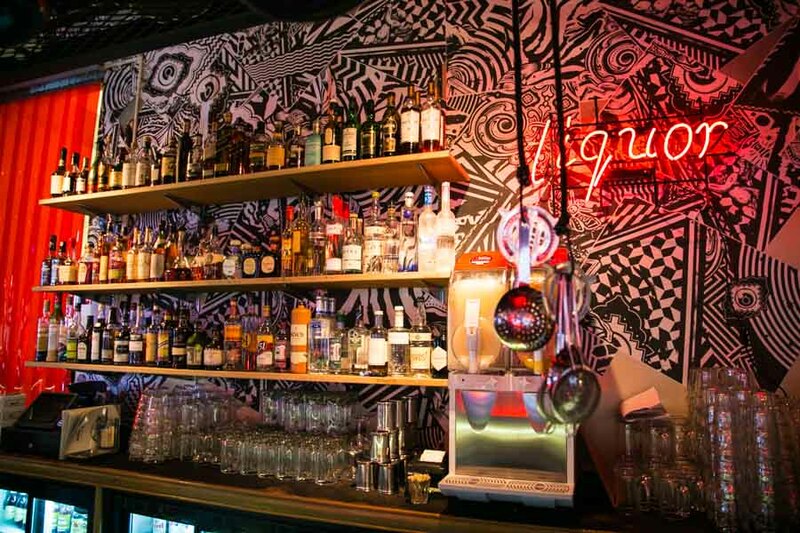 There were graffiti, graphics and neon lights all over, all of which scream hipster and artsy. So we settled down and had a few drinks first. 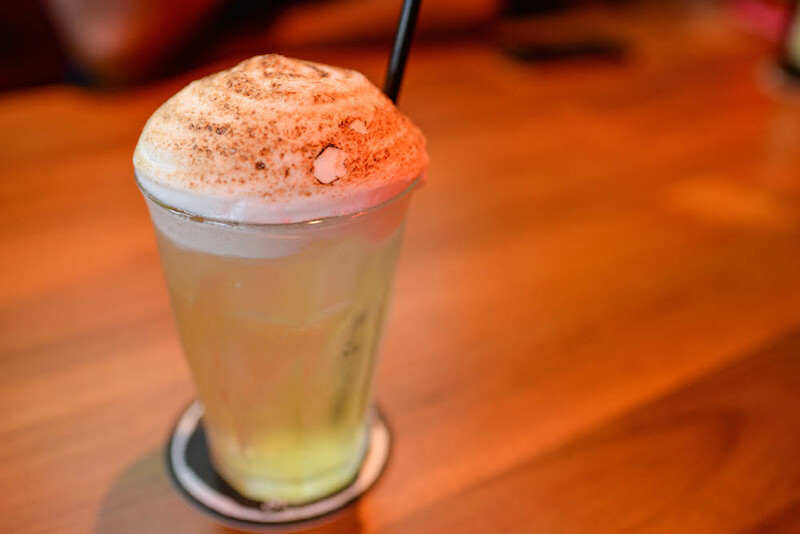 The Lagerita Slushy ($22.00), is a fallen angelita slushy topped with lager. This tasted fruity and refreshing, but with a generous amount of tequila in it so definitely for the more experienced drinkers. 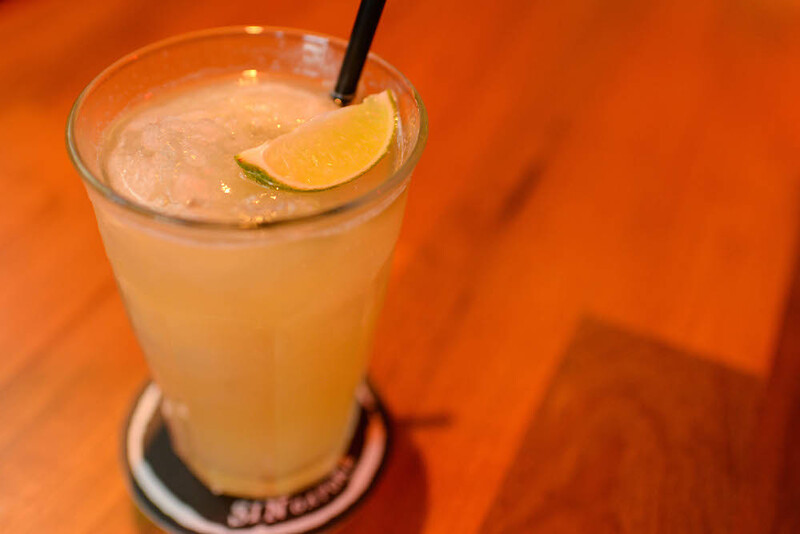 If you want to get something light to start with first, try their Pina Colada ($19.00), less heavy on the alcohol. Tropical flavours tickled my taste buds for this one. I especially liked the burnt coconut meringue on top, which I thought was pretty unique. It had a nice sweet, scorched flavour and was excellent with the drink. 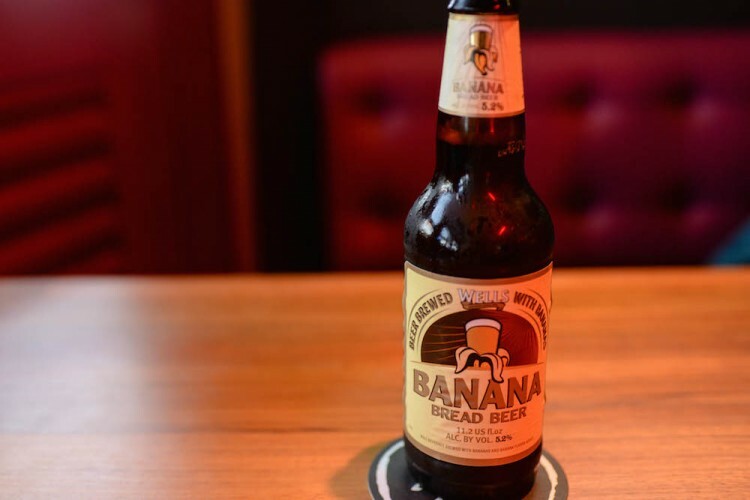 The drink that first caught my eye on the menu though, was the Banana Bread Ale ($15.00). I personally love banana bread, so you can see why it got my attention. To my amazement, the whiffs I had of the drink really smelled like banana bread. The taste was similar as well. Think sweet and nutty banana with beer. This is quite the novelty drink to try. We moved on to the food, and I quite liked how everything we ordered came all together on a huge tray. Great for people who love doing those top down views of the entire meal (if you can beat the dark lighting at MEATliquour). But really, I do appreciate because everyone can dig in to the food together, instead of taking sheepish bites of my meal just because mine arrived first. We had the Buffalo Shrimp ($21.00). Doused in their house buffalo chilli sauce, this was all spicy and sour and appetising. The batter around the shrimps was just nice and the blue cheese dip that came with it had a contrasting coolness. But really, it is just as good without the dip. While giving a good spicy kick, it does not leave my mouth on fire and clamouring for water. 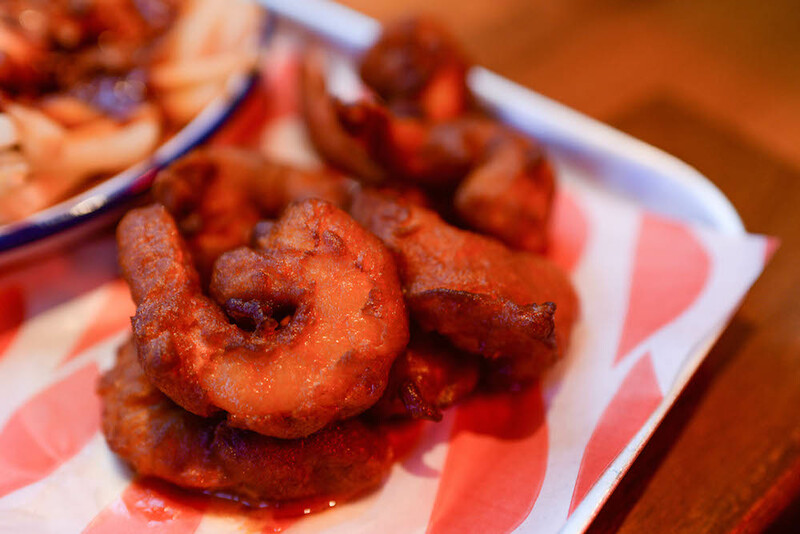 MEATliquour also incorporates local elements into their dishes. Try the Sambal Fries ($10.00), slathered in their sambal sauce and topped with a fried egg and shallots. Frankly I was not expecting much, after having read past reviews on the dish. But it seems like they took the feedback seriously and redid the sauce to make it more savoury, more sambal-like and definitely to a local palate. The Sambal’s result is incredible. It was not too spicy, but you could taste plenty of the chilli. 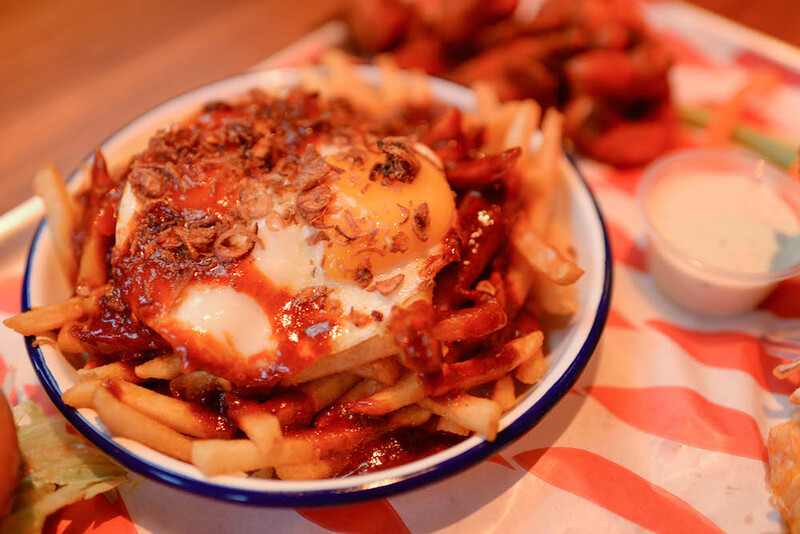 The egg and shallots, combined with the sambal fries further elevated the dish. It was addictive and had me putting one fry after another in my mouth despite my protesting stomach. Needless to say, I. Will. Be. Back. After the drinks and snacks I started to really anticipate the rest of the meal. The burgers did not disappoint at all. The Bacon Cheeseburger ($24.00), sounds like it could be a crowd favourite. I mean, bacon and cheese? Win. The beef patty was flavourful and was cooked to medium doneness. That is the default, but you can request to customise the doneness of your patty. 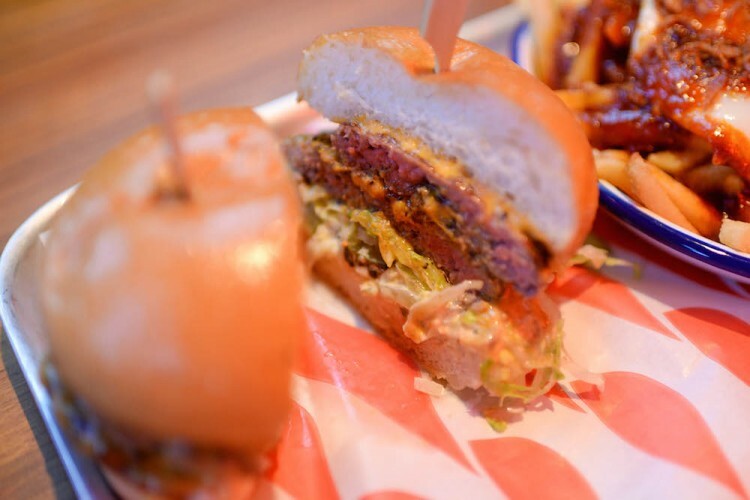 All beef patties are made with US Aberdeen Angus beef chuck, with 20% fat ratio in the patty for flavour and tenderness. The Dead Hippie ($22.00), is almost like a Big Mac, with two patties as well. But of course it looked far more delectable and with not so much bun. The patties, like the one in the Bacon Cheeseburger, are Aberdeen Angus U.S. beef, 80% lean meat and 20% fat. The balance is great gives you both flavour and substance. Last (and very regrettably so), was the Buffalo Chicken Burger ($20.00). The hot pepper sauce contrasted well with the blue cheese sauce to give a nice tangy tease to your taste buds, as it drives away the heat and prevents it from being too spicy. We thought the chicken could be slightly more moist though, and the buns toasted to give them a bite. 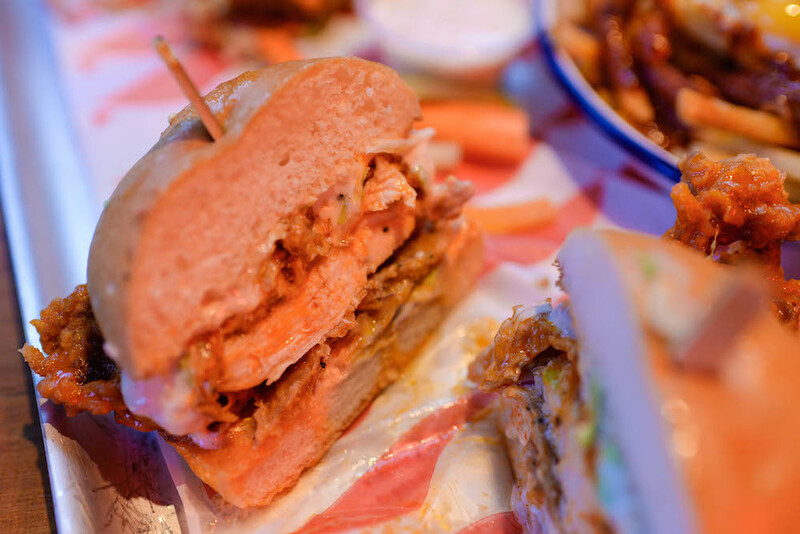 Great food, drinks and atmosphere makes MEATliquour a must go to place during Friday nights and weekends. Even if you are not up for drinks, the food is pretty good. I for one, would definitely go back for more. Eating, sleeping, reading, writing, photography and dancing are a few keywords to describe Chui Choo's life. Her goal in life is to do the things that make herself and the people around her happy. Otherwise, she is a pretty simple and contented child, doing her best to navigate the complexities of life.